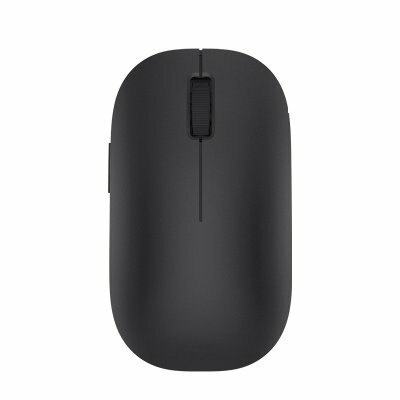 Successfully Added Xiaomi Wireless Mouse - 1200dpi, 2.4G Wireless, 4-Button Design, Water And Dust Resistant, 10m Range, 1x AA Battery to your Shopping Cart. Working with this wireless mouse from Xiaomi will significantly increase your efficiency. No longer will you have to bother with tiny mousepad of your laptop or an annoying old-school wired mouse. This wireless mouse is extremely compact and lightweight, making it easy to carry around in your laptop bag. Whether you’re at school, the office, or at home – with this wireless mouse you’ll browse through your files and all other laptop features with the greatest ease. It works with 2.4G wireless connectivity and features a 10m range for great usability. This Xiaomi wireless mouse features a 1200dpi that lets you smoothly browse through all your laptop features. With its efficient 4 button design, it brings along convenient and easy usage for anybody out there. The mouse itself is powered by a single AA battery that brings along a standby time of up to a year. As this gizmo is compatible with all major PC operating systems out there, you won’t find yourself in any trouble while trying to connect it to your laptop or computer. The mouse is dust and water resistant, thus you won’t have to worry about accidentally spilling some drink and damaging your wireless mouse. This wireless mouse comes with a 12 months warranty, brought to you by the leader in electronic devices as well as wholesale PC gadgets..